Switching from Windows to Linux is a hard thing for most of the people. But once you are used to Linux then, there's no going back to Windows simply because of the highly flexibility, security implementation and highly customizable feature of Linux based Operating Systems. 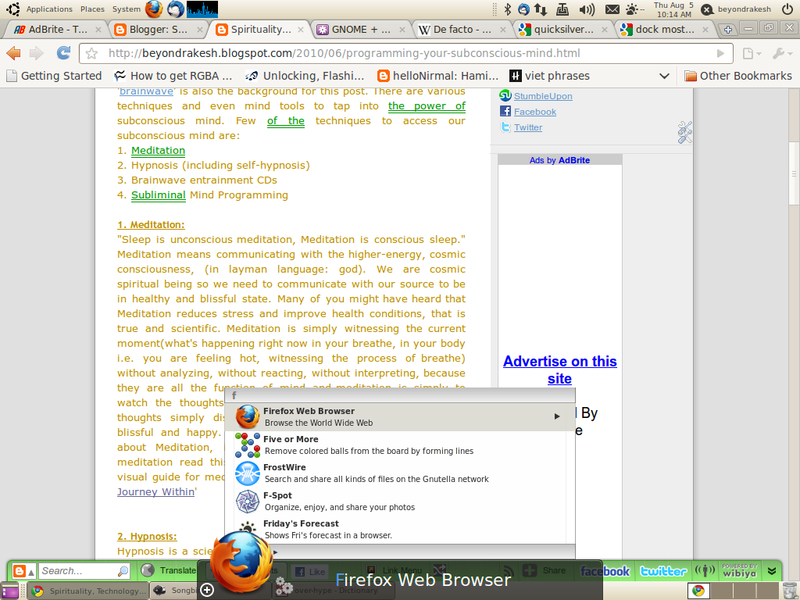 One of the program that is a must in Linux is 'GNOME Do'. I like this program very much and have been using since its initial release. 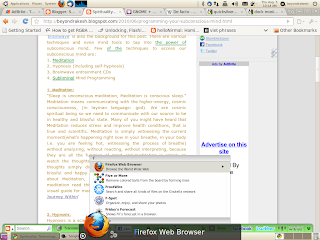 In the beginning the program was not much eye candy and worth a try, but after the implementation of 'Docky' feature it became the de-facto app for any Linux OS. I'll show you what this tiny application is capable of doing. Gnome Do is a multi-application launcher, which is very innovative and stylish way of launching your favorite applications with visual assistance and in a really really short time. (i.e. 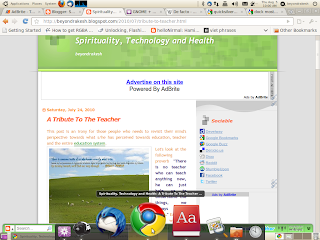 Google Chrome, Firefox, Media Player, System utilities, etc). Windows users will really be amazed when they see this application running in Linux, but don't worry for windows users i'll give you the link to similar application later. A picture is worth a thousand words. So, let's see this in action. 1. You can open gnome-do application by pressing 'super/windows logo + space' After pressing this buttons the program is displayed onto your screen and is ready for the operation, and just type few letters of the program you want to load. As in the picture below I've just typed 'go' to launch Google Chrome web browser and it already shows the application that i want to run, then just hit enter and Chrome is launched. Yeah, its really that easy and see how much time you've saved to launch that application. 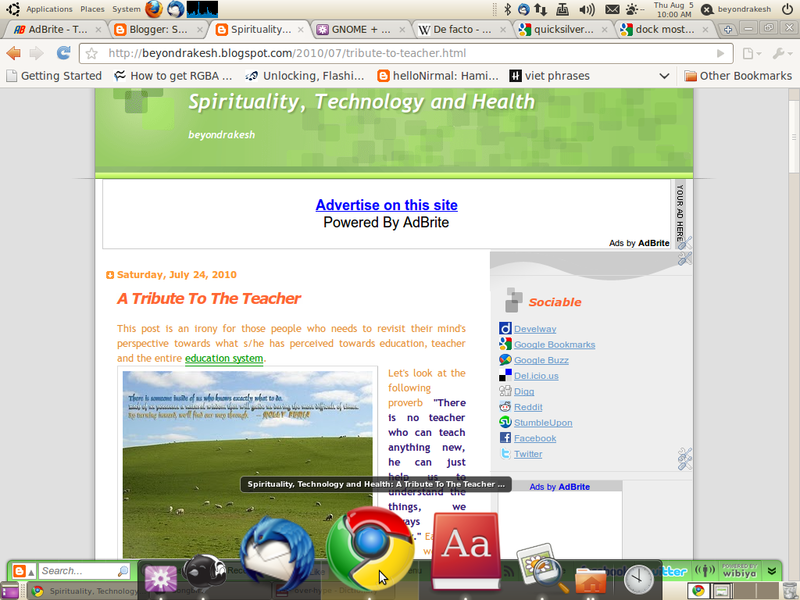 The default look of gnome do is as shown below. 2. Now, that's classic look and now turn it into Apple's most liked feature 'dock'. GNOME Do has a plugin 'Docky' which does the same thing the Apple OS's dock has done. Docky is feature which is very very good for mouse friendly users. 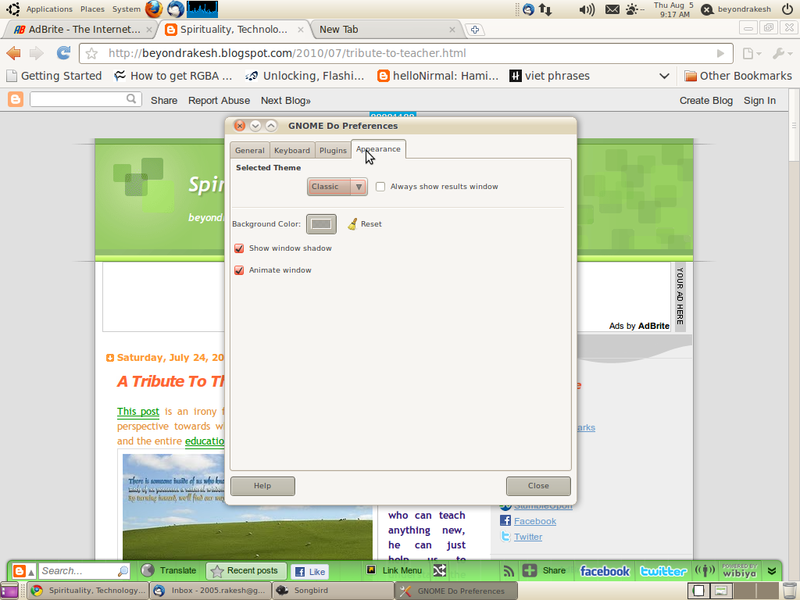 To change the look of GNOME Do click the downward arrow and click preferences as shown in alongside picture. 3. Then, then the preferences windows click the 'Appearance' tab then click on drop down list (i.e. classic, by default) and choose Docky and its done. 4. This is the Docky plugin which I'm talking about. You can see the beauty in your desktop. When you hover your mouse around the dock it zooms. You can add your favorite applications on dock by simply typing the application and clicking on (+) sign on the left as shown in this picture. One of the most good about this application is that it builds its database on the usage for example, if I try to open Google Chrome for the first time, then I might need to type the whole letters and from then, when i type only 'ch' it shows the related program. So, that's genius and that's why I like it and saves our lot of time. 5. You can even select a list of program from the letter you just typed. First of start the application by pressing 'Super/Windows logo + space' then just type 'F' as in the picture and press the down arrow key on your keyboard and you can scroll through a list of programs whose name starts with 'F' alphabet. 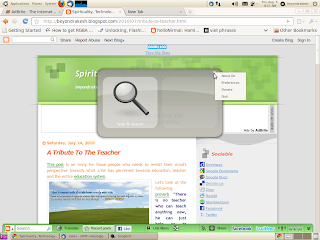 Well, this is GNOME Do developed by GNOME Do developers, fully open source and free. All of you might be thinking to giving it a try. 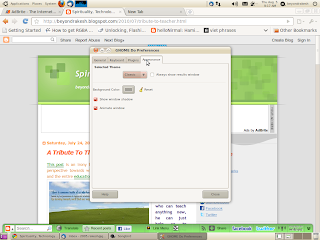 Here is where you can download it for all Linux distributions here. In Ubuntu Lucid Lynx you can use 'Ubuntu Software Center' to install it but in previous versions you can install it in a different way explained here. But for windows there's an alternative to Gnome do but it does not have docky interface and its name is 'Launchy', it is also open source and free and you can get it from this link. So, have a good time with GNOME Do. Good bye till my next post comes alive.